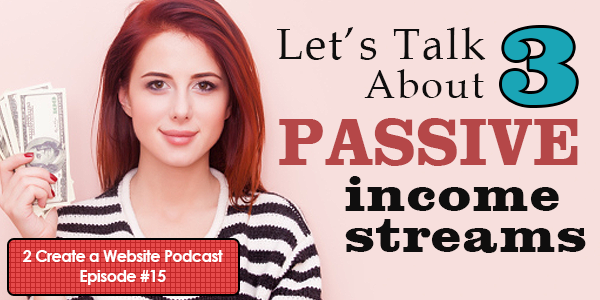 This podcast discusses three of my passive income sources: T-shirt sales update (via my new Facebook niche page), GoDaddy and Udemy (courses). I had a small breakthrough with my Facebook experiment during the last week of September, and in just 36 hours, it generated over $350 in T-shirt commissions. Now sales are starting to come in a little more regularly. Plus, I gained more than 2500 organic (free) likes since the last podcast. Thanks to this page, I received my largest payment from Spreadshirt to date. Now it’s time to get ready for the “ugly Christmas sweater” season! Since earning with Spreadshirt for the first time last year, I’ve been completely obsessed with the T-shirt monetization model. I was determined to scale this somehow, and it’s finally starting to pay off. I’m having FUN doing it — always a prerequisite for me or I’ll give up too soon. I’m a very right-brained person, and I like to tap into my creative side when I can. Coming up with the ideas and funny sayings for the shirts is what makes this fun and challenging. The Lesson: If you enjoy doing something, stick with it! Usually it takes a little time to reap the rewards. Note: If you don’t want to listen to the podcast now, you can right-click this link, Save As and download it for later. Is it better to become a hosting affiliate or reseller? Ouch! How Your WordPress Navigation Can Kill Traffic and Conversions! Hi Lisa. As usual, great content. I have 2 questions: (1) Do I need a website to promote my t-Shirts on SpreadShirt? and (2) How does one design and use a Splash Page to create leads on Facebook (or this even workable)? Nope. I just make an image of the shirt and post it on FB. Then I link directly to my store. If you use WordPress there are several plugins (OptimizePress is one) that let you create landing pages easily. I don’t think it’s necessary for shirts though. Anyone I know doing this is selling by just posting images directly on the page. This is awesome! I’m glad to see you’ve been succesfull with selling your t-shirts. I’ve got plans to start a t-shirt business of my own – and will definitely be using some of these tips. I don’t remember seeing Spreadshirt in my research – only Teespring and SellMyShirts. I’ll look into that. Keep writing great posts! Hi Lisa! This spreadshirt idea really got my attention. I have a niche, a fan base, and a website that gets traffic. I have been asked in the past to create t-shirts, but I lacked the knowledge of how to go about it. I am considering taking your course, but I’m on a Mac and I use Pixelmator. Can it still be done. I am not artistic at all! Thanks for all you do! Yes, the computer you use doesn’t matter because Spreadshirt operates the same on a Mac and PC. Now I don’t know anything about Pixelmator so there’s no info about creating images using that software. I teach Paint and Photoshop in the course. But you can still learn a lot about Spreadshirt nonetheless. Trust me! I’m no artist either and look what I’ve been able to create on my natural hair site. Hello Lisa.I am a Nigerian please what will i do to earn online? What is the secret? Kindly help me i really want to be successful in online business. Hi Lisa, hope all is well across the pond. You are probably one of the very few people I follow and highly respect online and you never fail with quality information. I have promoted you a lot before, but never thought about taking one of your courses but I’m very interested in the Spreadshirt one (all new to me). I just have a couple of questions. I work with an excellent graphic designer and artist but his English is not strong, so I told him all about you and this t-shirt idea and I said myself and him should create a t-shirt page/site and fb page for fun and maybe make a few quid. Would we bother if we do not have websites with massive traffic (I have plenty of small niche affiliate sites), or is it possible to do without a huge presence online, and just use social media. If you think so then I’ll sign up for the course and see how it goes. Also you said in your podcast that your t-shirt sales may drop because of winter, but, do you not target the southern hemisphere too? I’m going to be brutally honest. 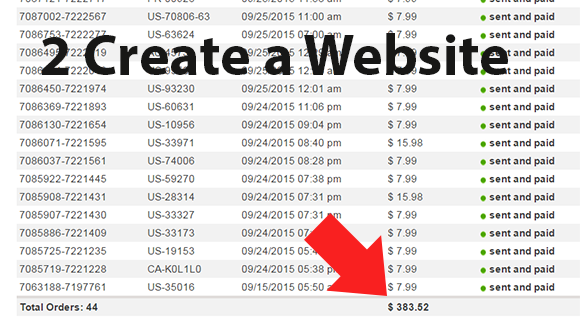 In my course preview video I recommend you do this if you have a site with targeted traffic. That’s how I started earning with T-shirts. This Facebook page is the first time I’ve ever been able to monetize with social media without a website. I think the niche matters. So go to Google Trends and type in [niche] shirts and see if there is an upward trend for people buying shirts in this niche. If there is, you might want to consider this. But remember I bought advertising to build up initial likes so you’ll need to factor that in. That’s the tricky piece. You have to be successful with buying ads AND get a niche that buys shirts. In the course, I don’t teach buying ads because I wasn’t doing it at the time. And as I said in the podcast, I’m not ready to teach that yet because I don’t want to recommend people spend their hard earned money without having a more proven success formula. In the course, I am assuming you already have a trafficked site and I don’t cover buying ads. As far as the southern hemisphere, no doubt, with 6000 likes now, I probably do have likes from people all over the world. I can tell by looking at some of the foreign names on the page when people comment. But when I bought likes I only targeted the US due to the fact US people are more likely to buy. But now that the page is growing organically, no doubt I have more southern hemisphere “likes”. I have been experimenting with sweatshirts on my hair site and to my surprise people are actually buying. I was concerned about the pricing but people do actually pay $30 for a sweatshirt or long-sleeve shirt, which is good. So I’m looking forward to the winter and will experiment with the trendy “ugly Christmas Sweater” niche. In fact, my Spreadshirt account rep emailed me last week and asked me to create some because they will be featuring some of the best designs. So people do by long-sleeve shirts, just not as much as T-shirts. Ok, I’m still considering doing the course anyway, surly I’ll gain some good from yourself. In my head with my colleague, we will design a bucket load of shirts using what you said, trending (stag and hen market here and the UK is crazy) create a site and fb page, pay for likes etc (again, because of you I have stared experimenting with FB ads for my Halloween sites and yes, it has proved very good thank you) have some fun, pick some markets and build it up for a solid year, and sure we’ll see. may lose a few quid, or gain, but if I don’t try there may be possible regret. Thanks for that link! Wow, very cool resource. Gonna dig through and see if I can use some of these. Sweet! If you do take the course I’ll be more than happy to answer any questions you have. There’s a discussion area there. Some people sell courses on Gumroad and Selz. Those services host the files and handle the payments. It’s possible to combine them with mailing list services, to create discount codes. Selz has a pro version with some custom perks. Both have embed widgets for each product. The only cost is a small transaction fee, which is totally worth it, imo. I have considered Gumroad as well. I love their costs. It’s a good way to start selling courses. In order to build a learning community and interact more with the students, it may be necessary something more advanced. In the Graham’s article, he mentioned Infusionsoft and a couple other platforms. To me is kind of scary to create a self-hosted shop. 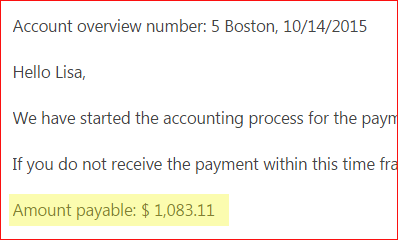 I would prefer to use a intermediate company to deal with the payments. I haven’t heard about Spreadshirt. But, I have tried working with Teespring. Though, my campaigns weren’t successful because I stopped by FB campaings as my earnings were less than the spend, I did enjoy trying out something new. Does Spreadshirt have a rule like TeeSpring that the t-shirts only go in print when a certain number is reached? No it doesn’t and that’s why I switched to Spreadshirt. It’s like any other affiliate program where you get paid for what you refer. And honestly the commission is the same as Teespring. If you sell a shirt for $22 on Spreadshirt you’ll get an $11 commission (if you use the cheapest shirt). The biggest difference is you don’t get the clock/time and that does encourage people to buy ’cause scarcity. I started off with Teespring but because I would sell a couple and not reach the minimum so I switched to Spreadshirt and that’s what I happened to be using when that shirt post went viral. Plus I don’t have to keep relaunching the campaigns when they run out. It’s more like a real online store. I have some t-shirt designs with me that didn’t reach the minimum on TeeSpring, so I would start with those designs on Spreadshirt. How long did it take for your fan page to start gaining some traction in regards to your post reach? I at 382 likes using paid ads on my page and getting very little reach. It was instant, quite honestly. Even when I had 300 or 400 likes during the first few days, the reach would be at 600 or 700 and sometimes in the thousands. I’m convinced that because this is a humorous page, that is why it’s working so well. People are much more likely to share funny stuff. I don’t know if I could replicate this with a more serious niche. Gotcha, I’m involved in the sports realm. We’ll see how it goes . A lot of the bigger sports sites facebook pages are getting a lot of engagement. I will look to do the same. You have gone very far Lisa, thank you for sharing this with us. Keep sharing, it inspires me. I have a Shopify store and I’m thinking that I will shut it down. I have shirts and bags available there but I’m not making many sales–certainly not enough to justify Shopify’s monthly subscription. The store is connected to my website but I still think that it best to shut it down. (The store not my blog.) Do you have any recommendations or ideas about selling products from my blog? Do you have a course or podcast about this? The only successful store I’ve had is the one for my natural hair site and that’s run on Spreadshirt so it’s free. The sales came from traffic to my blog. So it sounds like the people who are visiting your blog either aren’t interested in the products and/or the products aren’t an exact fit. Do you blog about fashion? How relevant is the store to your site? Hey Lisa, great podcast. I’ve got a few points to raise. About putting courses on your site. As you know I’ve done that and I’ve made every mistake in the book. Basically, you mustn’t put a copy of your Udemy courses on your site. I’m building out bigger offerings on my site than what I have on Udemy. On my site, I want to sell courses for $99 or higher and people won’t want to pay that much when they know they can get it for $15 on Udemy. So I’m doing webinars at the moment and I’m going to bundle those recordings in with courses and other benefits to push the price up to a higher ticket item. I’ve heard of a couple of people say they were disappointed with Rainmaker. It’s on their servers which are locked down and you can’t use certain plugins for example. I have no experience with Zippy Courses (although, I’ve got to say that’s a reasonable price). I got in a complete mess because my membership plugins (I tried WLM, MemberMouse and now DAP) would never play nicely with my courseware plugin (Sensei). Now I would kill to get rid of Sensei but I can’t. If I could have my time again, I would use a simple membership plugin (WLM or MemberPress) and forget about a courseware plugin. And maybe hire a developer to get the membership plugin to do what I wanted. But keep it simple and concentrate on the users rather than stress over plugin choice. Also, I was thinking, have you ever considered Amazon FBA? Your experience with Facebook marketing would be very useful. You could sell something related to women’s haircare? Just an idea. The people I meet who’re making the most passive income these days are all on Amazon FBA. Thank you for all the advice, Rob! That’s exactly why a part of me doesn’t want to bother with doing anything else but Udemy for now. I mean I get the benefits of self hosting, but I really do love how they handle EVERYTHING. The other concern I have with hosting anything on my own site is I’ve had a issues with bots and I’ve never been able to fully resolve the small outages because of the bot traffic. I’ve thought of hosting on another domain to remedy that. I wouldn’t want people having trouble logging in. And once you do choose a plugin, you almost have to commit unless you want to migrate your customer data over. So yes that’s exactly why I’m stalling on all this. I do appreciate all your feedback and sharing your experience. Maybe I’ll wait on all this. I’ve been hearing a lot about Amazon FBA but have never really looked into it much. For some reason it never interested me as much because it’s so hands on (don’t I have to do the shipping?) But I keep reading about people doing really well. Well, for me spreadshirt is not a viable option because for my niche, children aged 0-3, their stuff is just WAAAAAY TOO dear. I mean, perhaps one can spend $25 on a T-shirt for an adult, not on a bodysuit or a bib. However, through them I have come across their bulk distribution which is immensely discounted (up to 70% if you buy more than ANY 100 items) and their supplier (yink.com) which may end up even cheaper. My plan is then to sell on Amazon FBA which allows me to keep prices down to make it more affordable for the buyer and at the same tome to get my margin reasonable. Amazon FBA do EVERYTHING, from keeping stock to dispatching. The only thing you might have to do is to prepack (as it stick each item in a plastic sleeve) and label the items with some kind of code. I still have to investigate this. Thanks for your feedback on this Andrea. I’ll need to look into this more. Your are a very very beautiful woman. Hi! Thanks to you I earned about $26 from Spreadshirt! I actually forgot that I had set up the store. I only have one design in there, but I am definitely thinking about taking it a little more seriously. Continue to share great content!!! Barbara that’s great! Keep it up. If you use the trick I shared months ago about looking at the popular categories on the homepage, you can actually earn without having a store. Sometimes I just create designs for Fathers Day, etc. and I just got a check for $100+ payment from a random account I have without a store. So all I do is upload designs to the marketplace for that account. People really sleep on the opportunities there…. keep uploading!